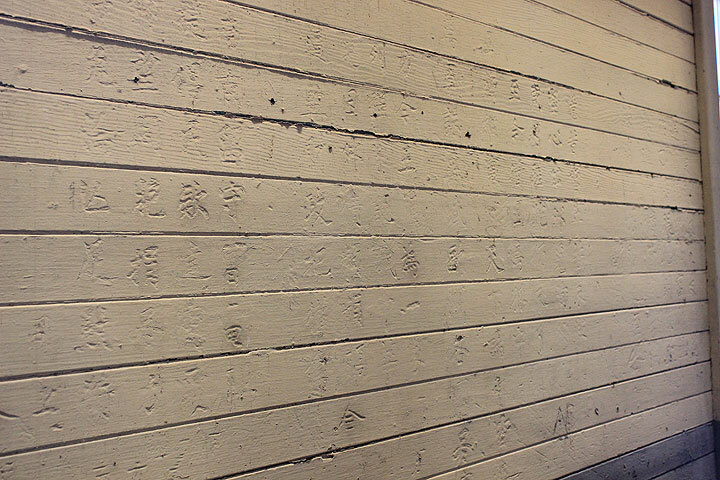 Poetry carved into wall in the Detention Barracks for men at Angel Island. 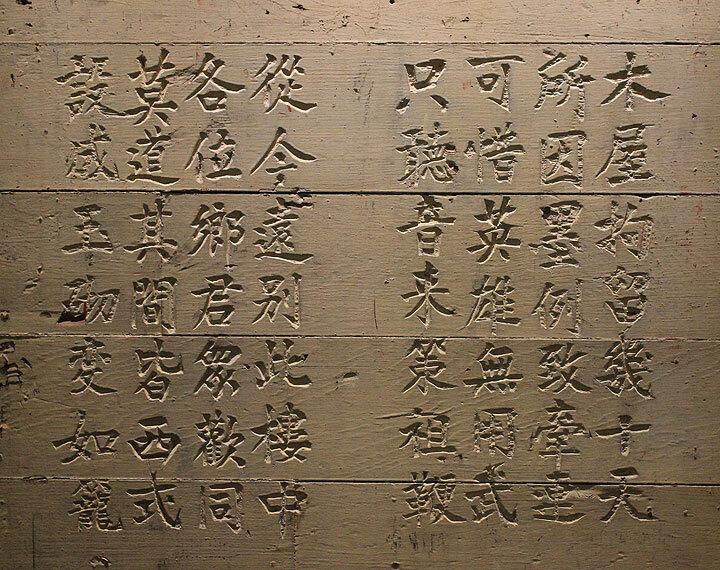 As soon as the Immigration station opened in 1910, Chinese immigrants began carving poetry on the interior walls of the Detention Barracks. Three months after opening, District Commissioner Hart Hyatt North reported that the walls had been defaced with graffiti and needed painting. The carving of poems continued over the thirty-year life of the station, resulting in the walls being repainted as many as eight times. in 1931-32, two detainees independently recorded 80 to 90 poems they found on the walls. Scholars in the 1970s-80s recorded some 135 poems; further research since 2004 has revealed over 200 poems and a multitude of other inscriptions and images. Poems were written in black ink on the wall with a Chinese calligraphy brush. The inked poem was then carved using traditional wood carving tools. Maintenance workers filled in the carvings with putty and painted over the walls. Immigrants then began new poems on the freshly painted walls. It appears that carvings were never done directly on top of previous poems, but some such cases may be hidden beneath the paint.